Aurifil 50 is the finest of the three main Aurifil pure cotton 2-ply threads. It is ideal for use as a bobbin thread when machine quilting, also for patchwork piecing, dressmaking, lacemaking, general purpose sewing, hand applique, detailed and heirloom quilting, and as a general bobbin fill. Aurifil Cotton Mako 50 thread is a 50 weight 2-ply thread made from the finest Egyptian long staple cotton and mercerised for a wonderful sheen. 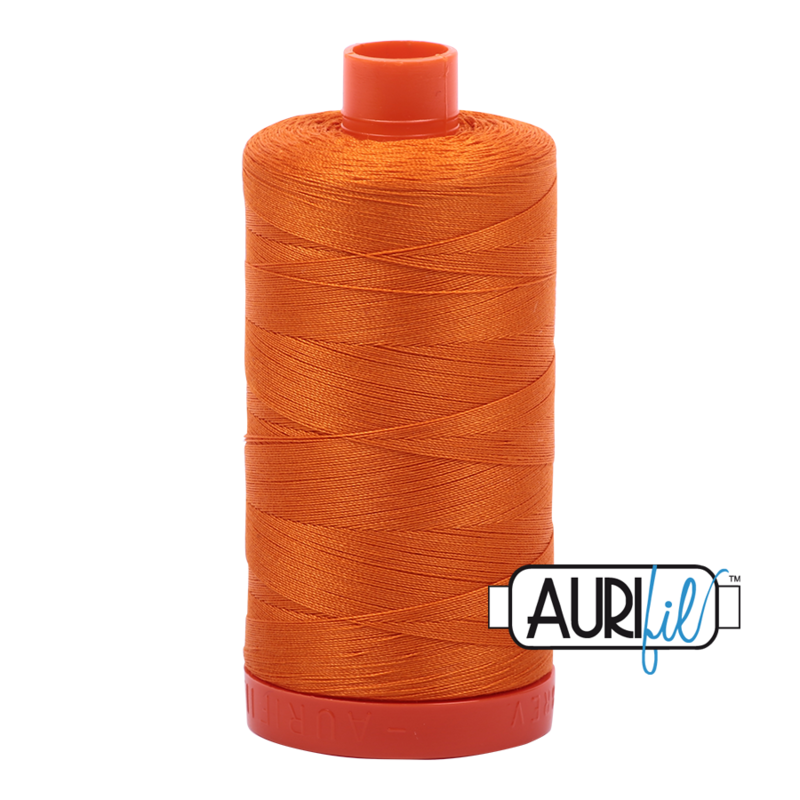 Like all Aurifil cottons, Aurifil 50 is a very smooth thread with very little lint and virtually no slub. It behaves extremely well through sewing machines and is easy to work with by hand. The colour is both light (UV) and wash fast. For machine quilting, we recommend using a Schmetz Quilting size 75 needle. For machine piecing, we recommend using a Schmetz Microtex 70 needle.